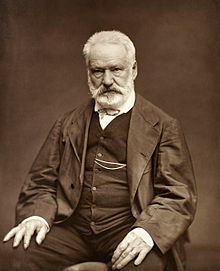 French novelist, poet, dramatist and accomplished artist Victor Hugo was born on 26 February 1802. He shares a birthday with my brother, John Fitzsimons, who is also a very accomplished artist. We know Hugo best for his novel Les Misérables (1862), which has been adapted for stage and screen. You can read it here. Most of us (me included) probably assume that the iconic image of “Cosette“, which adorns a million T-shirts is a modern one. In fact it was drawn by French artist Émile Bayard for the original edition of Les Misérables. Yesterday (25 February) was the anniversary of the première of Hugo’s historical drama Hernani, ou l’Honneur Castillan, an event that sparked riots between Romantics, drafted in by Hugo, and Classicists, who felt that their values were under attack. Squelette, qu’as tu fait de l’âme? Lampe, qu’as tu fait de la flamme? Volcan, qu’as-tu fait de la lave? 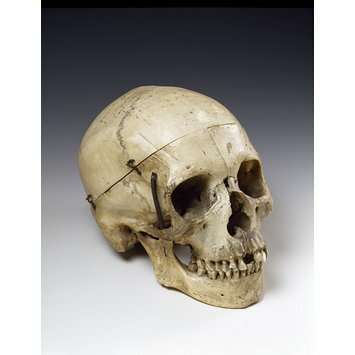 Bernhardt adored his macabre tribute, and used it as Yorick’s skull in the grave scene in Hamlet when she played the eponymous prince. *Skeleton, what have you done with your soul? Irish actor, theatre manager and playwright Dionysius (Dion) Boucicault was born on this day (26 December) in 1822. While not immediately apparent from his exotic Huguenot name, Boucicault was born and brought up in Dublin. A contemporary of William and Jane Wilde, he was almost certainly the son of pioneering science writer and lecturer Dr. Dionysius Lardner, the lodger who had become his mother’s lover while her unwitting husband remained in the family home. As well as providing his forename, Larder supported Boucicault financially for the first years of his life and funded the completion of his education in England. 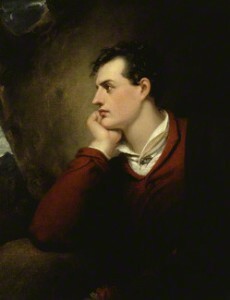 Aged seventeen and using the pseudonym Lee Moreton in order to thwart his mother’s opposition, young Dion embarked on a career in the theatre and enjoyed early success in London. Although his plays were profitable, he was an extravagant man and soon ran up insurmountable debts. In July 1845, when he was in his mid-twenties, Boucicault married Anne Guiot, a wealthy and considerable older French widow. He inherited her fortune after she died in an apparent mountaineering accident while she and Boucicault were holidaying in Switzerland a short time into their marriage. He was the only witness. Before long, Boucicault was back in the debtors’ court and he was obliged to borrow money in order to pay for passage to New York for himself and Scottish actress Agnes Robertson, who would become the second of his three wives. There, he found success and wrote his most enduring play, The Colleen Bawn. For decades, Boucicault divided his time between London and New York, delighting audiences with his repertoire of original plays and adaptations of the work of others. He improved the lot of fellow playwrights by leading a campaign for the introduction of American copyright laws for original drama; he may have been the first playwright to receive a royalty rather than a fixed payment for his output. Boucicault took a keen and solicitous interest in the welfare of his compatriot Oscar Wilde. On reading his first play, Vera, the older man counselled: ‘You have dramatic powers but have not shaped your subject perfectly before beginning it’. He urged Oscar to convert his stilted dialogue into ‘action’ rather than ‘discussion’. In a letter to mutual friend Elizabeth Lewis, written while Oscar was touring America in 1882, Boucicault expressed alarm, writing: ‘He [Oscar] has been much distressed; and came here last night looking worn and thin’. In an amusing postscript, he suggested that, as well as securing better management, Oscar needed to ‘reduce his hair and take his legs out of the last century’ in order to find success. 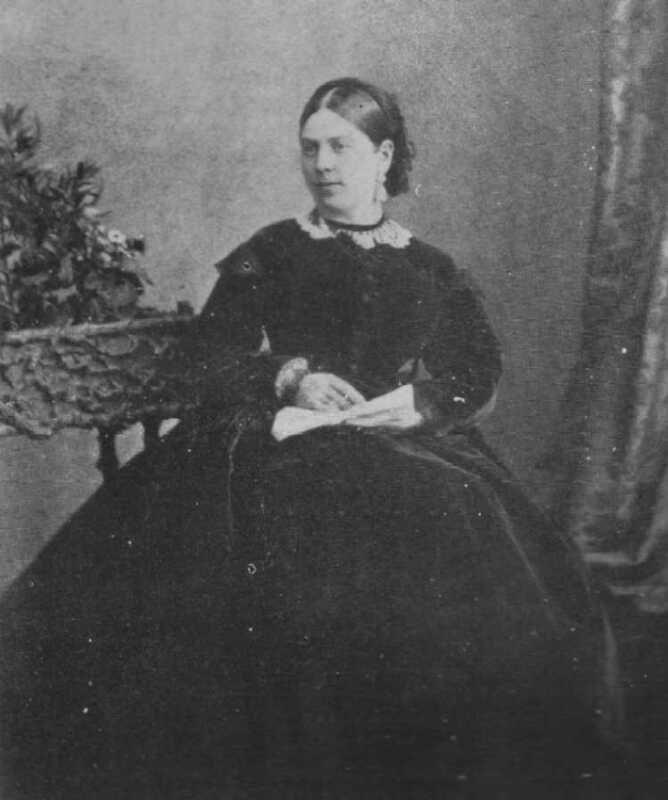 While touring Australia in 1885, Boucicault, insisting that his marriage to Agnes, with whom he had six children, was invalid, married a young American actress named Josephine Louise Thorndyke. His reputation suffered as a result. Five years later, aged sixty-nine, he died in the arms of his new wife in New York city. In addition to leaving us his plays, he secured passage of the Copyright Law of 1856, developed fire-proof scenery, secured a profit-sharing system for playwrights, and established a foundation for actor-training. He also puts in an appearance in Wilde’s Women. On 17 February 1880, Czar Alexander II of Russia survived an assassination attempt when the late arrival of Prince Alexander of Battenburg, guest of honour at a royal banquet, delayed dinner and ensured that the dining room was empty when a cache of dynamite concealed beneath it was ignited. This was the latest of several attempts on the Czar’s life, including one near-successful attempt in Kiev on 4 April 1866. On 13 March 1881, the rebels succeeded. Czar Alexander II was fatally wounded while travelling under heavy guard in a closed carriage. 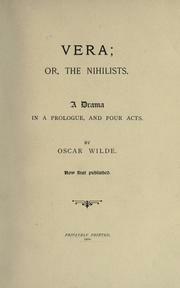 One unexpected outcome may have been the cancellation of a performance of Oscar Wilde’s first play, Vera, or The Nihilists, scheduled for the Adelphi Theatre on Saturday 17 December 1881. ‘I suppose everyone will be Russian to see it,’ a witty commentator had declared in the magazine Fun. He never got the chance to find out. ‘Considering the present state of political feeling in England, Mr. Oscar Wilde has decided on postponing, for a time, the production of his drama Vera’. Mr. Wilde has admitted his play to a committee of literary persons, who have advised him to keep it from the stage. The work, composed about four years ago abounds in revolutionary sentiments, which it is thought might stand in the way of its success with loyal British audiences. The plot of Vera centres on an insurgent cell led by the beautiful and principled Vera Sabouroff. In true melodramatic fashion, she falls desperately in love with her comrade Alexis, a sympathetic medical student, only to discover that he is the reforming son of the despotic Czar. Rather than assassinate Alexis, Vera plunges her dagger into her own breast to obtain the bloody proof demanded by her comrades. She insists that she is dying, not for love, but to save Russia. 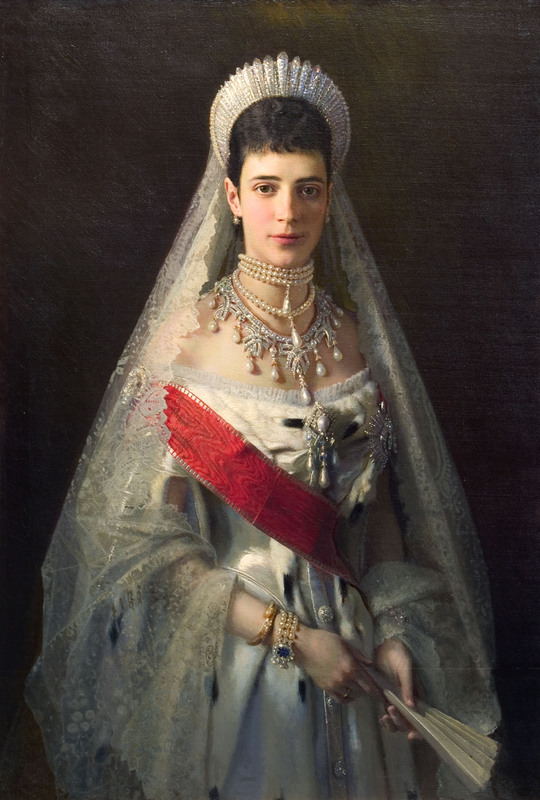 Although Oscar changed the year to 1800 and relocated the action to Moscow, it is widely believed that Vera was inspired by twenty-two-year-old Vera Zasulich, who had attempted to assassinate General Fyodor Fyodorovich Trepov, Governor of St. Petersburg on 24 January 1878. Zasulich had much in common with Oscar’s Mother, Jane, who, in her youth,had agitated, albeit peacefully, for Irish independence. 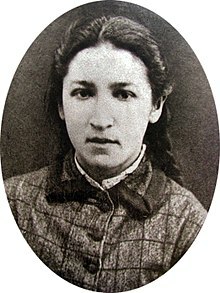 The educated daughter of a minor nobleman who died when she was three-years-old, Zasulich joined a group of insurgents in her late teens and her keen intelligence, combined with the Nihilist commitment to gender equality, propelled her to a position of leadership. On that January day, she joined a queue of petitioners seeking an audience with Trepov, before producing a pistol from under her cloak and shooting him with the intention of killing him. Although he survived, he was seriously wounded. Afterwards, Vera waited calmly to be arrested. She admitted her guilt without hesitation, but a sympathetic jury acquitted her. The international press, generally hostile to Nihilists, condemned her actions and her acquittal. An editorial in The Times declared: ‘We could have understood the trial if it had happened in Dublin’. In contrast, the Dublin University Magazine, which counted Jane and Oscar among its contributors, carried a long and enthusiastic article praising her patriotic actions and condemning her mistreatment. Zasulich fled into exile, and turned her back on terrorism in order to pursue a socialist agenda. The New York Times suggested that the cancellation of Vera was prompted by diplomatic communications from the Russian Government to Lord Granville, Secretary of State for Foreign Affairs.It was even rumoured that the Prince of Wales had intervened; the assassination of Czar Alexander II on 13 March 1881 made a Czarina of his Danish sister-in-law, Maria Feodorovna, Dagar of Denmark, who was married to the new Czar Alexander III. Although Vera opened in New York in August 1883, the run was an unmitigated disaster – but that’s another story, one you can read here. Read the full story of Wilde’s life and his interactions with women in Wilde’s Women. 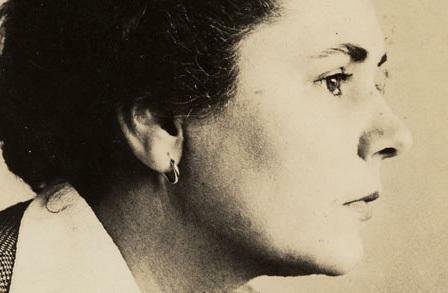 Today also marks the anniversary of the birth of poet, prose writer and translator Elizabeth Bishop (1911-1979), who was awarded the Pulitzer Prize and served as Poet Laureate of the United States. Her verdict on the letters? I’m certain she would have been one of Wilde’s Women had she been born half a century earlier. 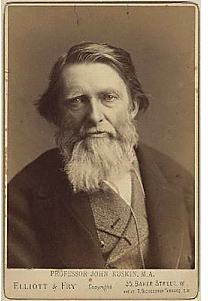 John Ruskin (1819-1900), Victorian art critic and social thinker, was a man who had a profound influence on art and life. Among his many admirers was Oscar Wilde, who met him at Oxford University and whose work and ideas were influenced by Ruskin’s thinking. After he went down from Oxford University with a double first, Wilde headed for London where he somewhat reinvented himself as a socialite and took up with ‘professional beauty’ Lillie Langtry. Although his preoccupations often appeared trivial, from time to time he allowed Langtry to observe his true nature. ‘assumed an attitude of such extreme reverence and humility towards the “master” that he could scarcely find breath to introduce him to me’. ‘that his forehead was large and intellectual, that his nose was aquiline, and that the side-whiskers, made familiar by his earlier portraits, had become supplementary to a grey leonine beard’. ‘His hair was rather long, and floppy over his ears; indeed he was a shaggy-looking individual’. ‘He held forth on his pet topic – Greek art – in a fervently enthusiastic manner, and as vehemently denounced the Japanese style, then at the beginning of its vogue, describing it as the “glorification of ugliness and artificiality,” and contrasting the unbalanced form of Japanese art with the fine composition and colour of Chinese art, of which he declared it to be a caricature’. 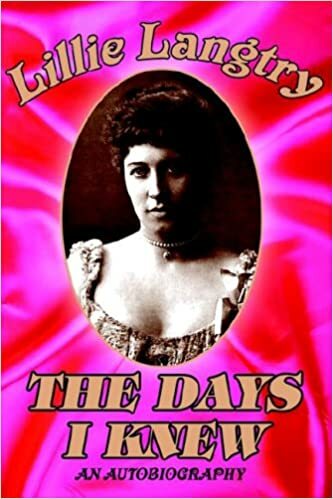 My source for Langtry’s fascinating reaction to Ruskin is her autobiography, The days I knew, p.140. For more on Langtry’s relationship with Oscar Wilde, why not read my Wilde’s Women. On 8 June 1870, Charles Dickens suffered the last in a series of strokes. 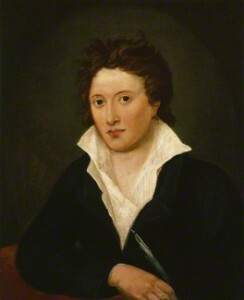 He never regained consciousness, and died the following day at his home, Gad’s Hill Place in Kent. He was just fifty-eight years old. 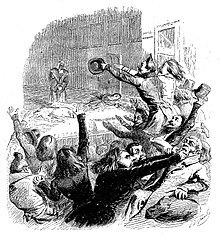 During a hugely successful career Dickens had toured America several times, although his first tour, in 1842, ended badly when he insisted on the need for copyright legislation to protect his rights to his work. That his return tours of 1867 and 1868 were far more successful was due in no small part to the efforts of a number of influential literary women who championed him and later championed Oscar Wilde. Yet their efforts were not always rewarded. The first of these was the exuberant Jane Tunis Poultney Bigelow, an important figure in the New York literary scene and a woman who made it her business to cultivate the leading writers of the day. 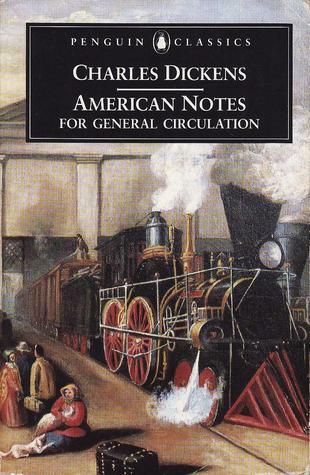 Bigelow’s correspondence with Wilkie Collins spanned two decades, and she had developed an interest in Dickens that bordered on an obsession. It was reported that when Dickens was staying at the Westminster Hotel near Union Square in New York, an elderly widow called Mrs. Hertz prevailed upon the hotel manager, a friend of hers, to introduce her to him. As Mrs. Hertz was leaving the great writer’s room, Jane Bigelow allegedly accosted her and knocked her out. When Jane’s diplomat husband, John Bigelow, co-editor and co-owner of the New York Evening Post served as Ambassador to Paris, newspapers described him as ‘a power in Parisian life … [who] enjoyed the attention and esteem of a woman, vivacious, witty, and intellectually vigorous’. When Bigelow was posted to Berlin, it was reported that Jane’s staunch insistence on the superior quality of American pork, led Bismarck to describe her as one of the brightest women he had ever met, and ‘eight Royal auditors’ to admit that American pork was ‘good enough for anybody’. * However, she was sometimes considered a liability, particularly when she allowed her servants to sit in the German imperial box at the opera. In Florence, Bigelow called to pay her respects to novelist Ouida, only to hear her shout: ‘Tell Mrs. John Bigelow, of New York, that I don’t want to see her or any other American; I don’t like them’. Undaunted, as ever, Jane replied: ‘You ought to be ashamed of yourself. We’re the only fools that read your nasty books anyway’. So thoroughly charmed was Ouida by her audacity that she invited Bigelow to stay for a month. Back in New York in 1882, Jane Bigelow proved to be a loyal and useful ally to Oscar Wilde during his lecture tour of North America. Two other women who feature in Wilde’s Women and had connections to both Dickens and Wilde are English-born Jane Cunningham Croly, better known by her pen-name ‘Jennie June’, and Kate Field, journalist, actress and campaigner for women’s rights. Croly was an exceptionally useful supporter to cultivate. Credited with pioneering and syndicating the ‘woman’s column’, she ran the women’s department at the New York World for ten years and was chief staff writer at Mme. Demorest’s Mirror of Fashions, later renamed Demorest’s Monthly Magazine. As ‘Jennie June’, she wrote ‘Gossip with and for Women’ for the New York Dispatch and ‘Parlour and Sidewalk Gossip’ for Noah’s Sunday Times. The sole breadwinner in her family, she juggled the responsibilities of motherhood and journalism by spending mornings at home before heading into the office at noon and working steadily until after midnight. Sunday nights were reserved for entertaining New York’s intellectual and artistic elite. A passionate believer in networking for women, Croly founded the Women’s Parliament in 1856. She also established the General Federation of Women’s Clubs, and the New York Women’s Press Club. The elite members of her own New York Women’s Club campaigned for education, improved working conditions and better healthcare for women. She responded to the exclusion of women journalists, herself included, from an honorary dinner organised for Charles Dickens by the New York Press Club by founding Sorosis, America’s first professional woman’s club. Kate Field was nothing short of legendary; the New York Tribune described her as ‘one of the best known women in America’, while the Chicago Tribune called her ‘the most unique woman the present century has produced’. A popular lecturer and prolific travel writer, she wrote for several prestigious newspapers including the Chicago Times-Herald, the New York Tribune and the Boston Post. She was the inspiration for Henrietta Stackpole, Henry James’s crusading feminist journalist in The Portrait of a Lady. Extraordinarily well connected, she had hosted such luminaries as Charles Dickens, Robert Browning, Elizabeth Barrett Browning, George Eliot, Anthony Trollope, and Mark Twain. Although she knew Dickens well and had covered his final American tour for the New York Tribune, Field too was barred from the Press Club dinner that honoured him, a snub that prompted her to assist Jane Croly in founding Sorosis. Below is part II of my blog post for the brilliant and very highly regarded British Association for Romantic Studies. Part one of ‘The Year Without a Summer’, which kicked off their commemoration of the events of 1816, appeared here. Part II can also be found here.  Do please visit the blog and comment if you have anything to add. We are very pleased to welcome Eleanor Fitzsimons (winner of the 2013 Keats-Shelley Prize and author of Wilde’s Women) to the BARS blog. This post, part of the ‘On This Day’ series, presents Part II of her essay ‘Every Cloud: How Art and Literature Benefited from a Year Without Summer’. 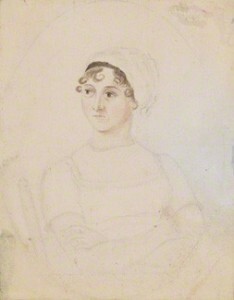 Eleanor’s essay looks at 1816 as the year of no summer and examines the impact that catastrophic weather patterns had on the work of writers and painters such as Turner, Austen and the Shelleys. Part II is to follow. ‘I first encountered At It Again, in the form of Maite and Niall, at the Oscar Wilde Festival in Galway in September 2015, and I was struck by the energy and joy they injected into Romping Through Dorian Gray, their witty guide to Wilde’s lush novel; a dynamism and irreverence that was very much in keeping with the approach taken by Oscar himself. I was also struck at that time by the great enthusiasm with which they – and happily I – were welcomed into the inner circle of those who keep Wilde’s work fresh in the public mind, a generosity of spirit that is common to all true lovers of literature in my experience. Since the task of finding new angles on Wilde, one of the most closely examined men in the world, second only to Joyce perhaps, was thought to be next to impossible, I realised that I, with my focus on Wilde’s Women, and they, with their delightful romp through Dorian Gray, were kindred spirits who shared a belief that there is always something new to say. Their enticing approach to Wilde, Stoker and Joyce has ensured that I’ve taken a huge interest in their activities ever since. Irish people can be justifiably proud of the wealth of great literature that our tiny island has produced, yet, sometimes, we make the mistake of being a little too reverential about the whole affair. It’s not uncommon for us to feel intimidated by the towering reputation of a writer as magnificently talented as James Joyce. As a result we may feel that his work is not for the likes of us when, in fact, it was written with precisely us in mind! Decades, ago, when I was in my twenties and working in London, an English colleague, on learning that I was a Dubliner, rushed to my desk to talk about Ulysses, his favourite book: ‘What bit had I enjoyed most,’ he wondered? ‘Exactly which of the Martello Towers that punctuate our eastern shoreline featured in the opening chapter?’ On and on he gushed until, finally, I had to stop him and admit that I had never read Ulysses. He turned on his heel in disgust, leaving me wondering why I, a Dubliner through and through, somehow believed that Ulysses was not for me, a book to be endured rather than enjoyed. It was the beginning of a lasting curiosity. Dubliners, Joyce’s collection of short stories, provides the perfect entry point for anyone keen to read his work. Although published in 1914, Joyce had written the interlinked stories between the years 1904 and 1907. Publishers were wary of the forthright language and fretted about bringing out a book in which so many of Joyce’s contemporaries were immediately recognisable and might take umbrage; Dubliners, of course, were far more likely to take umbrage at being omitted rather than included. The fact that Dubliners was rejected by numerous publishing houses, including London-based Grant Richards, its eventual publisher, provides a lesson in perseverance for us all. In writing Dubliners, Joyce held up a mirror to Dublin society with the intention of provoking a citywide epiphany. A proponent of individualism, like Wilde before him, he hoped that, once confronted with reality, his compatriots might question their circumstances and crawl out from beneath the twin yoke of church and state. Like everything Joyce wrote, Dubliners was radical and challenging; it was neither pompous nor staid. It was aimed at ordinary, decent, and not so decent, Dubliners as much as it was at scholars and academics, who were welcome to read it too. 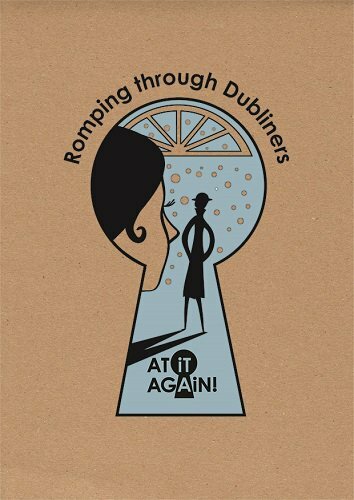 By insisting that Dubliners is for everyone and by prompting us to engage with this wonderful city, Romping Through Dubliners, a manual, is a truly fitting companion piece to Joyce’s original. It gives ownership back to the people it was written for. It is very telling that the word ‘fun’ is included on the very first page, a word that some people, although no one present in this room I suspect, forget to apply to Joyce. ‘Real adventures do not happen to people who remain at home. They must be sought abroad’.